How to convert AutoCAD to SWF format? Open the document you want to convert in the application suited for viewing or editing of AutoCAD documents, e.g. Autodesk AutoCAD. Click OK. 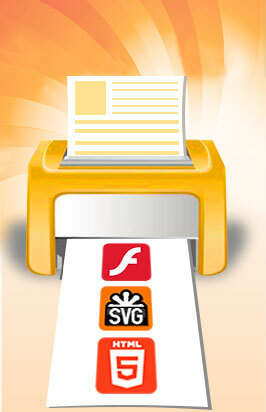 The document is converted to SWF document and appears in the Print2Flash printing application. The progress window is displayed to show you the conversion process is taking place. Please wait until it is finished.